1. Somedays I take lunch into the studio. Not to eat while working, but just to be in that space. It's no bigger than a standard bedroom, but somehow the room seems to expand with breath around me, currently smelling with a curious mix of oil paint, leather, and damp soil. Scent. 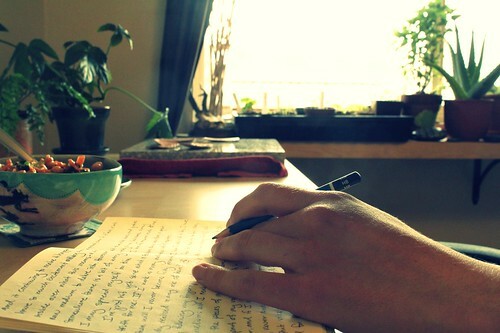 It's such a potent sense for me; in all honestly I sometimes wonder if it it my strongest sense. It's one that has become ever more curious since the rounds of chemotherapy of last year. Something in chemo affects the nose, making some scents unbearably strong, others more picante than ever. I've always had a bit of a nose on me, but I think my sense of smell has remained in a slightly confused state. I smell phantom scents. 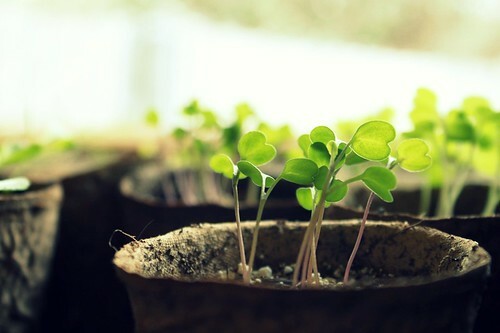 I can smell the potting soil from my seedlings all the way down the hall. Rubber still makes me a bit nauseous. The mangos on the kitchen counter overpower every other scent in the kitchen, including the wet puppy in from the rain. It's curious and can't be trusted. Like smelling in the 6th dimension. 2. 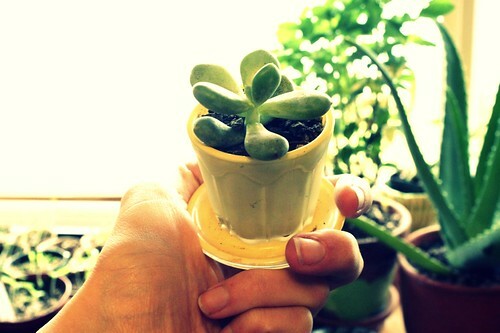 Is this not the sweetest little succulent in the sweetest vintage pot on the face of the earth? To combat all that sappiness, I've decided to name her Succubus the Succulent. She'll grow big and strong and slurp up the hearts of men. 3. This afternoon the sky looks a bit like non-fat milk; translucent and slightly blue around the edges, watery and pale. BC and I took ourselves out to breakfast. It's an absolute luxury to breakfast out on a weekday, an informal date, a time for us to check in with each other over house-made biscuits and black coffee. I love it. Eating out is a legitimate love language, I'd stake my money on it. And I would have to say, after a year living here, we're working ourselves in the niche of "regulars," chatting first name basis with our favorite servers and hardly needing to even glance at the menu before rattling off our orders. When we go to Big Blue I have the Tofu Scramble. At Luke's the Pesto Goat-Cheese Tart. And at Golden Harvest, well, all bets are off. 4. Baby's got a brand new bench. She's perfect and unmarred, all smooth wooden surfaces and neatly arranged drawers. I'm in a state of utter delight and itchy fingers to dirty her up. She faces North and I have a feeling she and I will make some serious magic. 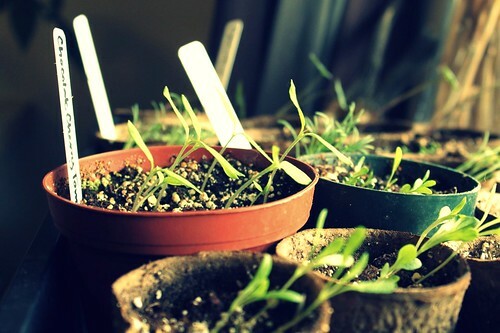 Also new to the studio and facing South are approximately two hundred seedlings popping up from their little peat moss pots just under the windows. The nasturtium and California poppies are almost ready to be transplanted into the front beds, the snapdragons and lupines need a bit longer before they land in the big turquoise containers. I'm already tempted to snack on the arugula, which makes me wonder if I really am part rabbit. I am a child with Spring: every thing green goes right in my mouth. Speaking of that, it's time for the last of the girl scout cookies. The carmel drizzle ones, the ones that used to be called Samoas before it was decided that was terribly improper and now they're called something that I can never remember. But you know, the ones in the purple box.